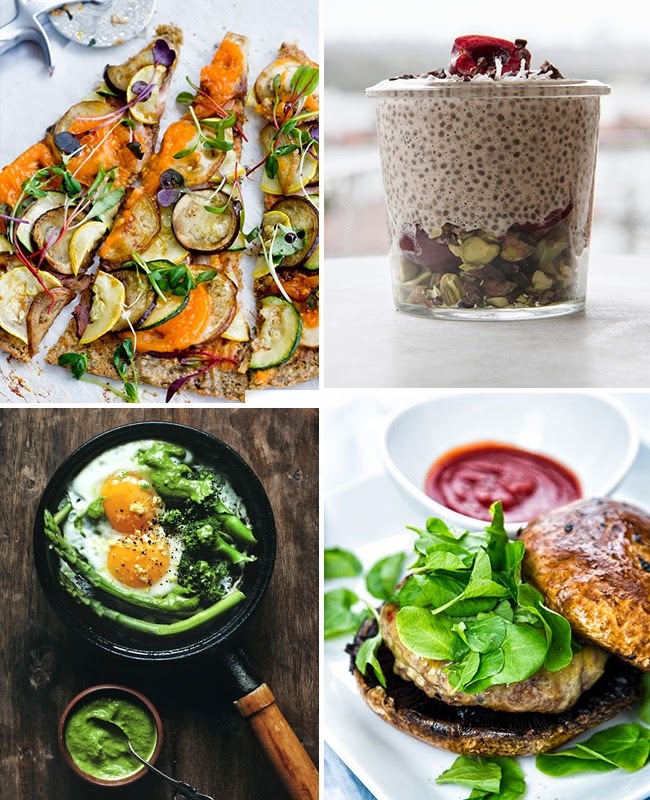 As I only have another five days of the Paleo Challenge left to get through I thought I'd share some of my favourite Pinterest Paleo finds with you. One of them is Chia Seed Puddings - creamy, healthy yumminess in a bowl. This ancient super-seed will give you protein, fibre and Omega 3, which stands for one substantial breakfast (or desert ;)) without feeling heavy or bloated afterwards. The beef burgers with sauteed spinach and caramelised onions in a portobello mushroom "bun" has been tried and tested and is amazingly delicious. Pinterest has been my saviour throughout this challenge. 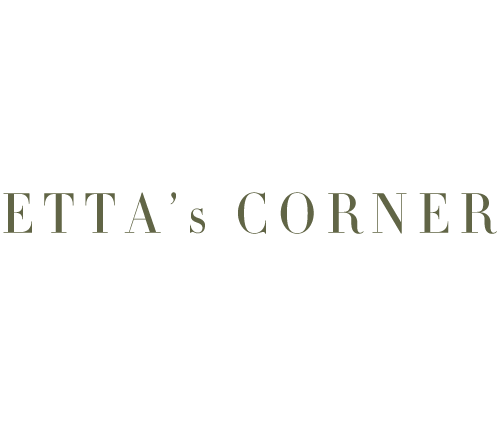 There are tons of inspirational and super tasty recipes up there. 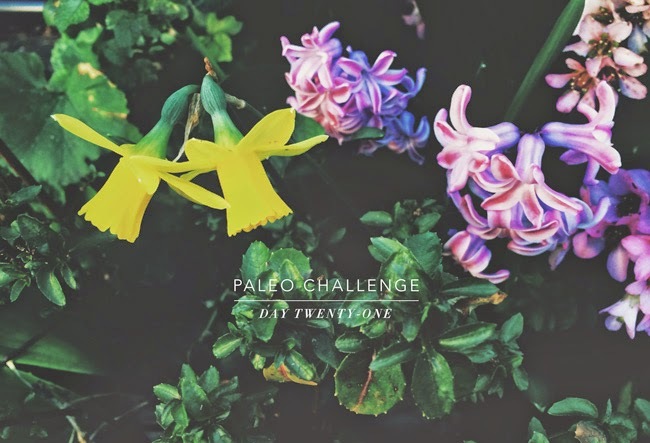 I am currently on day 21 of the Paleo Challenge (whoop! only 9 days to go) and still don't mind having courgette spaghetti with my bolognese or eating nuts and raisins instead of the compulsory 4pm HobNob. What I do mind is not being able to have normal coffee in the morning (decaf with almond milk just isn't the same) and I miss cheese and my favourite lentil stew. Only every now and then, but nonetheless. 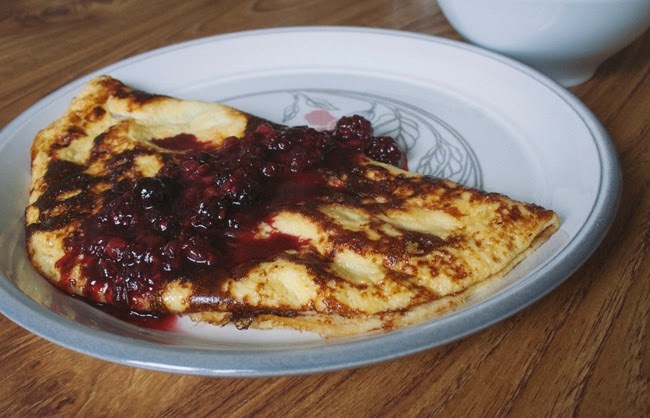 I am all over making fricassees with coconut cream instead of dairy cream and having lots of salads and roast chickens and veggies... but breakfasts have been oh so hard. My usual go to breakfast would have been a slice of wholemeal toast with jam or a bowl of porridge with a nice steaming cuppa. Can't have either :( So during the week it has been chia seed puddings and fruit salads. Nice, but this gets boring after a while. Even harder are the weekends, where I'd devour a hefty bacon sarnie or fried eggs on toast. 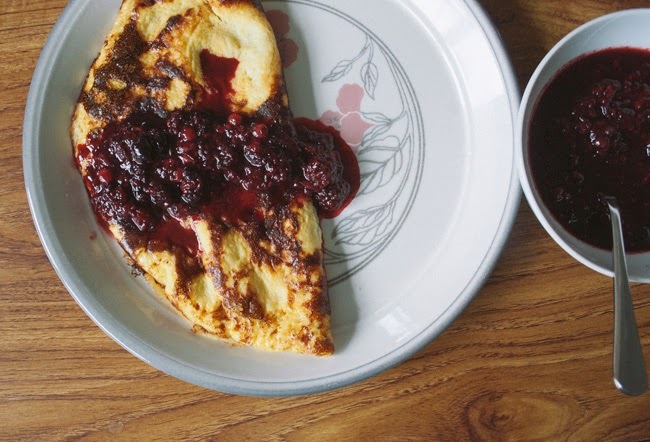 This weekend I've found an absolute gem of a Paleo breakfast recipe. 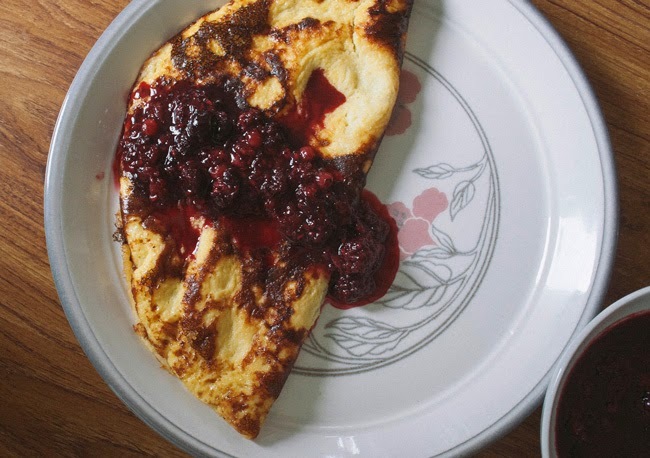 Sweet Omelette with Summer Berries. Sweet Omelette what?! Hey, why not, we all love a nice Tamago Nigiri why not turn it into sweet breakfast. Trust me, you'll love this! The amount of sweetener is optional and varies depending on your preference. I usually don't like ultra sweet things so if you are looking for a sugar rush brekkie add a bit more honey/maple syrup. Place the frozen berries with the 3 teaspoons of honey into a saucepan and heat up over a medium heat. Leave to bubble for about 10 minutes or until warm and reduced down a little. Depending on your taste buds you might want to add a little more honey. While the berries are bubbling away, whisk the eggs, 1 tablespoon of honey and coconut milk until well combined, creamy and bubbly. Melt the coconut oil over a medium heat. Once hot add the eggs. Turn the heat down to medium low and place a lid over the pan. Leave to cook for 3 minutes or so then flip over and cook on the other side for a minute or so. You want your omelette to be cooked but not dry. 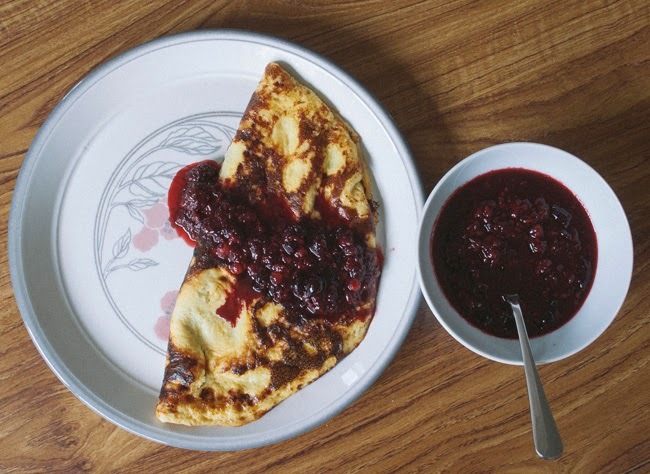 Fold the omelette in half and serve with the berries and a drizzle of coconut cream.